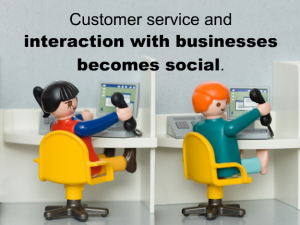 Is There Such a Thing as Customer Service for Social Media? Yes, Social Media is the ‘next hot thing’ for your company. However, like any other marketing strategy, it must be capable of bringing in customers, and you must be able to measure its effectiveness. Check out this Forbes article on social media and customer service. Don’t get fooled into thinking that web traffic ‘likes and followers’ will bring you in customers. Popularity and being liked is one thing, being trustworthy and believable is another thing. Both are at the base of bringing in customers. I’m talking about your ability to influence someone’s decision-making process. In order for a customer to want to buy from you, you must be trustworthy and believable. All of these things—web traffic, followers and likes to have nothing to do with your ability to build a connection to the customer. Building connections falls within the realm of customer service. Knowing your customer also falls under customer service. If you don’t take care of your customers, Facebook will not save you. 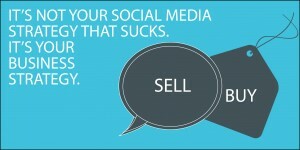 Social media is not a panacea for your company. 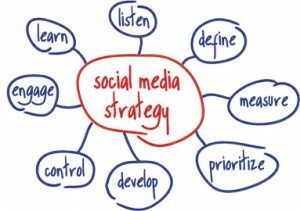 If you’re going to have an effective strategy, you must have one person who is focused on building your social media campaign. The purpose of social media is not to send out advertisements. Its purpose is to provide a place for you to connect with the customer. Connecting and building relationships is a skill; if you’re not good at this is your brick and mortar role, it’s unlikely you will be effective at social media. This is why I tell business owners that anyone, including your 14-year-old nephew can build a Facebook page, but can he build a marketing strategy. Your company must be presenting more than a page for people to connect with. 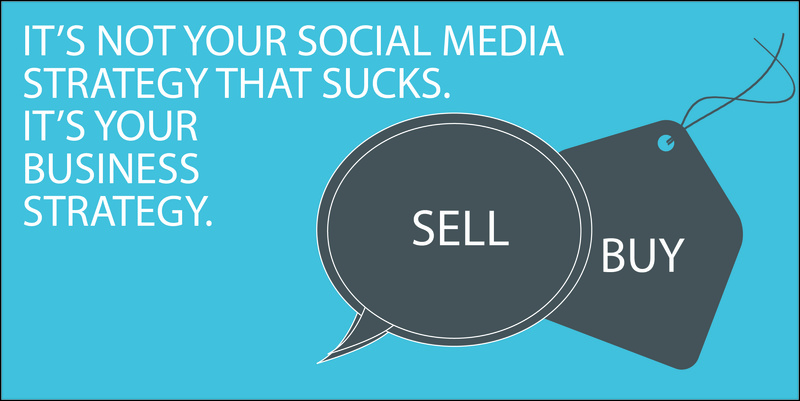 You need to tie your marketing and social media strategies together. Determine how you will integrate your social media strategies and your landing pages. It can be a special offer that must be redeemed in 24 hours or something similar. Restaurants, including my personal favorite, Buca di Beppo, do this regularly.I received an offer for a free dessert on my birthday and the coupon had to be redeemed within one day. Once you have an offer, create a landing tied to the offer so you can tell how many people have downloaded your coupon. This way, you’ll know if anyone is taking you up on your offer. Isolating the effects of Facebook or Twitter, for example, on a landing page optimized for the audience your company has on these social-networking sites will quickly tell you if you are converting clicks to prospects. Decide which social media strategies are best for your company and your goals. Twitter is quickly paced and provides a way to do direct messaging. Facebook’s fan pages are for companies that want to show their human side to the customer. If you’re a customer service based company, Facebook gives you a place to connect with your customers. It also works well for those who have a strong following. You will have to determine which one works best for you. Google Analytics can get you real-time results of strategies using social media. Once you’ve decided which platform to use, it’s time to measure the results. Google Analytics is a free service that will measure your landing-page performance. None of these strategies will be effective unless you add content to your site. You must continue to write blogs, offer timely advice or anything that is valuable to your customer. Not sure what they want to hear, then ask them. Paying it forward has never been more important. Try various strategies to see if your campaigns are leading to conversions. Remember, connect with and talking with your customers is customer service. It’s important to know if what you’re doing to connect is making a difference. If it doesn’t matter to the customer why bother to do it? Lisbeth helps businesses build loyal relationships with their customers through social media marketing and customer service training. Her book, Red Hot Customer Service, can be purchased through her web site. www.Lisbethcalandrino.com. What Place Does your Business have in the World of Social Media? Although most business owners know the world of social media exists, there are still some hoping it will disappear. The number of naysayers are dwindling. A recent survey found that two thirds of small businesses are spending more time on social media today than they did a year ago. We’ve come a long way baby–no longer do smart businesses see social media as something they wish would go away. They are aware it’s here to stay and it’s no longer a fad. If you choose to ignore it, do so at your own risk. Several months ago a long-standing business asked me if I might help them build an event for the retirement of one of their business partners. They said they had money to spend but hoped I would be frugal, and maybe we could use social media. Of course, I took that to mean they had a social media presence. 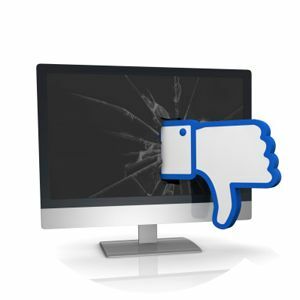 I goggled the business, came up with some unpleasant comments and found 37 friends on their Facebook page. I didn’t know where to start or what to say? It was obvious that no one was tending to their social media presence. Running advertisements is the old way to build customers. Yes, the customer has to know who you are, but they already know all about you. They read that nasty comment about you on a social media site. They also saw your commercial on television with your wife and dog and were quick to pick up the TV remote to get rid of you. Whatever news they’re looking for is getting sent to an app. they downloaded on their smart phone. Don’t be discouraged, the new way to do it isn’t that far off from the old way. You still have to get yourself into the marketplace and find a way to build a relationship with a potential customer. Social media has made it easier, cheaper and personal. This is an interesting article about social media from Forbes. What does social media do? Foster communication with new tools. Here’s some information on the tools. The problem for many people is that social media involves them getting in front of the customer and connecting with people instead of showing their products. Yes, people want to know you. It’s time for you to go back to some old-time marketing tips. Before newspapers and television, there was handshaking and ‘word of mouth.’ Handshaking still exists, but lots of it is done on line, and ‘word of mouth’ has become ‘world of mouth.’ The social media model brings people together in open forums where they show their likes, dislikes and concerns. People support each other’s causes, and we quickly know who we like and don’t like. Consumers also leave testimonials about their experiences; some are good, and some are bad. If you pass their tests, you have the possibility of having them for a customer. Where do you start? Here are some questions that will get you on the right track. Who are my customers? Where have I been successful and who do I want more of? Has my customer base changed? What’s different about my customers? Where are my customers? Where are they on line? How do I keep them coming back and referring my business? If you don’t know your customer, nothing will work. Once you know who you’re after social media can help you find them and stay connected. Want to get business? Go get social. Lisbeth Calandrino helps businesses improve their customer service and build loyal customers. She can be reached at redhotcustomerservice @nycap.rr.com.